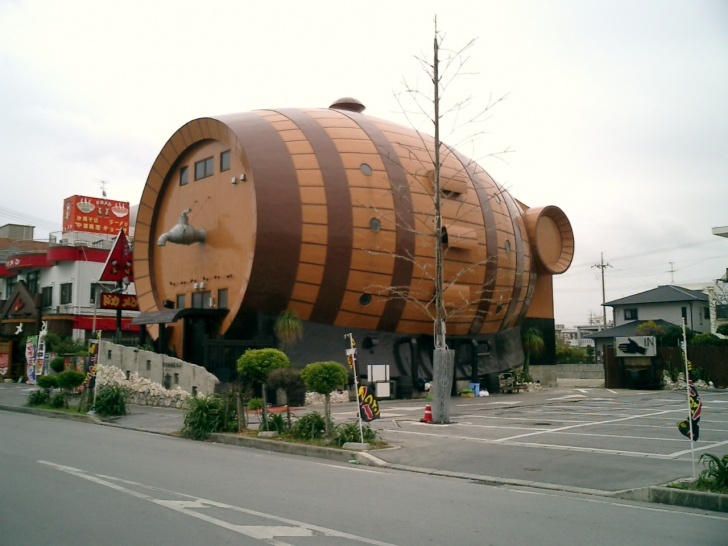 Tonneau Bistro & Bar, Okinawa, Japan | 10 Stunning Buildings Shaped Like Their Company's Products! This cool bar offers delicious food and a wide variety of drinks. It is always crowded with visitors who come to see this stunning building and enjoy delicious food.